Heavy Baseball Training Balls will improve your throwing velocity. 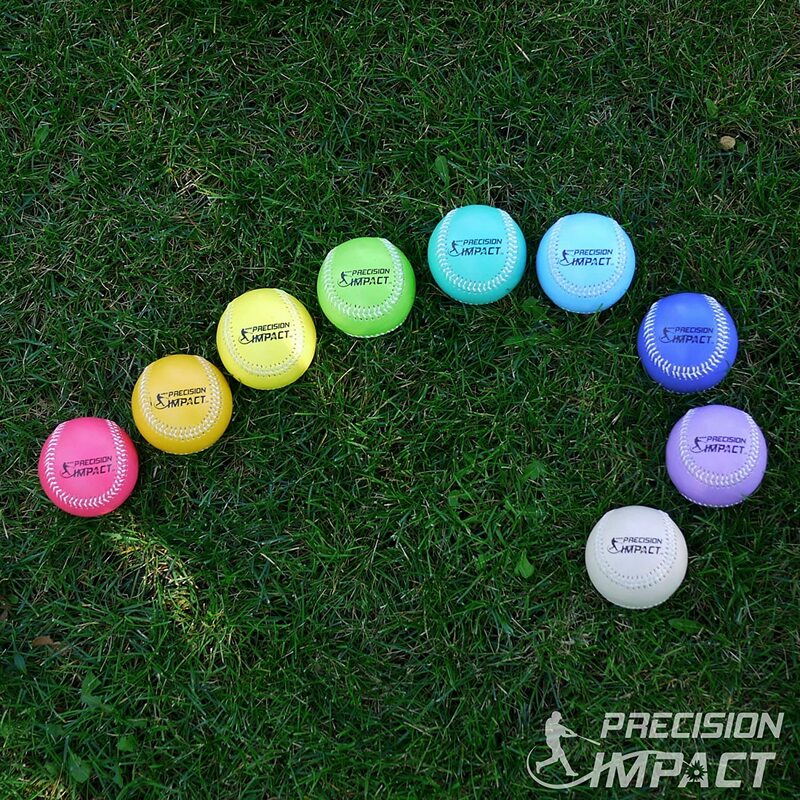 Include this full set of 3oz to 12oz (except 5oz) heavy baseball training balls into your baseball team’s throwing and pitching routine. After a few weeks of heavy ball training, the players on the baseball team will notice their arms becoming stronger and in velocity. In that time players should start reaching those higher speed milestones. After training with the heavy baseball training balls, one will be throwing harder and faster. Here is a common question that I am continually asking our players. “Is your throwing arm sore?” After a few weeks of training, one will start to recover faster. Exercises done with the heavy baseball training balls will increase your shoulder’s blood flow, flexibility, strength, endurance, and durability. Throwing a Baseball is one of the most strenuous activities one can do to their arm. In baseball, a pitcher can endure fatigue in his legs, and therefore he will start using his arm more and legs less. Fatigue in his legs will cause him in placing more pressure and strain on his arm. Proper recovery time and a post workout routine are vital for the athlete’s quick return to his/her peak performance. The appropriate recovery time and post workout will also ensure a long-lasting career. Often, young athletes wait until injuries before worrying about arm care, but being pro-active to increase strength and endurance before injuries happen is vital. Get the tools one needs to throw like a champion and stay injury free. Although there is no precise definition of the term “velocity program,” I like to describe it as a program designed to safely and effectively increase your ability to throw a baseball/softball faster. The act of throwing a baseball with max intent. A long-toss program. Chronic injuries often only appear long after the damage to the arm has been done, so it’s necessary to be pro-active with shoulder maintenance. Implement a pre-game, post-game, pre-training, and post-training warm-up and cooldown routine. Don’t wait until there’s pain! Include running and icing as part of your shoulder maintenance. 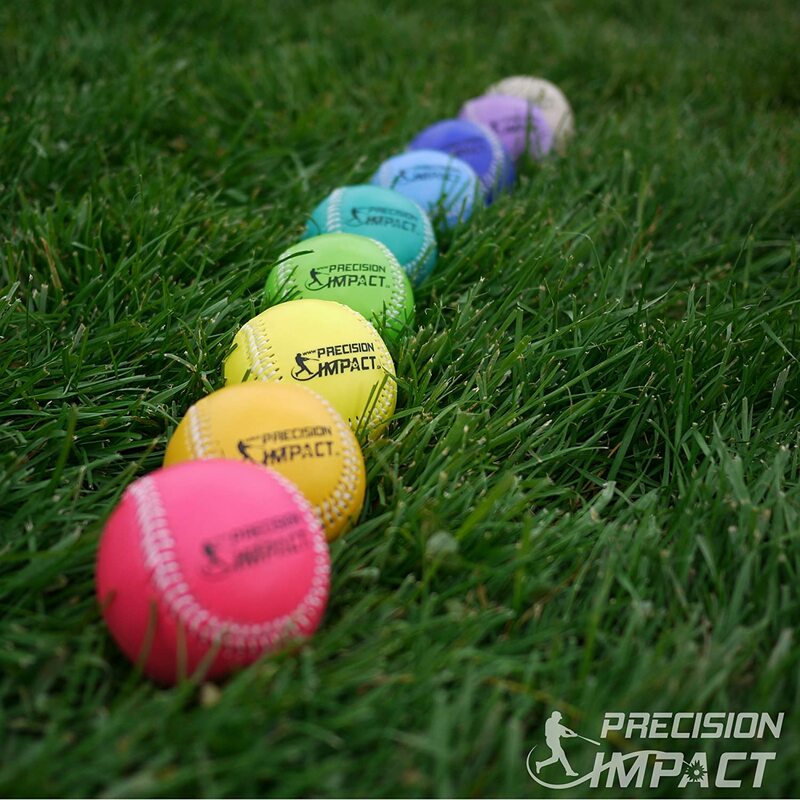 Heavy Baseball Training Balls do not come with a throwing program. However, the heavy baseball training balls are designed and weighted to be compatible with many well-known (both free and paid) programs already existing. I would typically recommend one but this type of training is vital to research, and I feel it would be best if the decision is on what you think is best. At the beginning of each practice, we start with five minutes of four short drills to strengthen and loosen the rotator cuff. Ten minutes of long toss, starting at 60 feet and working up to 180 feet and above. We have the position players throw the way they would in a game situation. The catchers will work out of the secondary stance and throw the ball as if they were trying to throw out base runners attempting to steal second base. The outfielders will throw overhand coming over the top with their arm motion while practicing doing a crow-hop (one-step) and toss. Long toss is the regularly suggested approach to strengthening a baseball player’s arm. If you desire to build strength in your arm, you’ve got to throw, throw, and throw and incorporate the heavy balls when you do. How fast a baseball player can throw is often defined by genetics. But, there are some ways a player can increase power in one’s arm. Mechanics, strength, and Flexibilities are factors coaches and trainers stress when improving arm strength. Beyond long toss, mechanics affect throwing velocity. A player must have proper body rotation, weight distribution, release point of the ball and a balanced, straight follow-through to ensure the transfer of kinetic energy onto the ball. If the player is not throwing correctly, they’re not going to get the maximum velocity out of his body. Adding proper mechanics will not only increase the body movement but also decrease the risk of injury. Flexibility and balance, which support a player’s range of motion in the arm and ability to better physically assert himself, are also vital components of throwing. If an athlete wants to benefit from arm strengthening training, one must include weight training and an agility program for the lower body. The program will consist of squats, ladders, sprints, and lunges to name a few. Part of the training also requires short explosive drills including plyometrics to improve quickness. For the upper body, lighter weights and elastic bands. This work strengthens the rotator cuff and muscles around the shoulder. Regardless, baseball players have options to increase how hard they can throw. What you do will be up to you. Good luck!